Get 2015 Latest SEO SMO News updates, SEO Interview Questions and Answers for Fresher and Experienced, SEO Tips and Tricks from this blog. Info about upcoming Google updates is also available here. Hello friends! I'm very happy to see you all in my second post. This post is the answer for million dollar question "What are the basic and advanced SEO techniques to generate traffic to your website?" Increasing visitor to your website is not a big matter because there are several ways to generate traffic. But generating organic traffic (Direct Google search) is the big matter. Organic traffic is the only way to reduce bounce rate (We can discus about Bounce rate in our other post later). For that target all your keywords and work hard to increase your keyword ranking in Google SERP. Follow all the below On Page and Off Page techniques to improve your site as well as traffic by using white Hat SEO techniques. Don't try to fool Google by giving more Synonyms of your keyword in title because Google would consider the synonyms of a word also. Use your keyword not more than one time depending on the page of your website. Meta keywords is not a problem for Google now but other search engines like Bing, Blekko, volunia etc could use them so provide it with all your keywords. Generate traffic from top sites like Wikipedia and Wikihow. Edit or Create new articles in this site and give backlink to your website. These links would be a rel="no-follow" link so you don't get link juice advantage but you can get traffic. Forum participation is another important and easy way to increase your visitors. If you have shopping site be sure to share those products on Some Product Submission sites like Kaboodle.com, polyvore.com, pinterest.com, pinspire.com, lyst.com, snapfish.com, thefancy.com etc. Updating your websites profile in Social Media is a nice idea. Social Media Sites such as Facebook, Twitter, Google+, MySpace, LinkedIn, Fanpop, chime.in, mendeley.com, manta.com, xing.com and deviantart.com are the best place to promote your website. Update your profile everyday with interesting information. The more the information is interesting, more you get traffic. Submit your Unique Articles as Lens in Squidoo and as Hub in Hubpages would generate better traffic to your site. Even Though submitting quality Lens and hub in both sites are difficult, try your best because Google love links from these sites. Submit your website in all popular Directories. Because directory submission would generate both traffic as well as backlink. Don't submit your links in low quality directories. Try to submit your link in http://www.dmoz.org/ which is one of the top most directories. Submit your website in other search engines to consider your site while ranking because not all the search engines can index your website unless you submit it manually. Info graphics and photo submissions are also a nice one. Create a new and innovative info graphics with a link to your site and submit it in all the top info graphics and Photo submission sites like visual.ly, pinterest.com, imgur.com, weheartit.com, Google Picasa, Flicr.com, photobucket.com, 500px.com, pinspire.com, gentlemint.com, twitpic.com, shutterfly.com, postimg.org, www.flixya.com etc. Publishing News can generate traffic for your site. This may similar to article submission but the news should be latest one. insanejournal.com, livejournal.com, huffingtonpost.com, boingboing.net/suggest.html are some of the news publishing sites. RSS Feed submission is also an important one. Generate Feed for your site and submit that in top RSS Submission sites and directories. really great blogspot It is very useful .. Thanks for your comment Sophie Winkleman.. 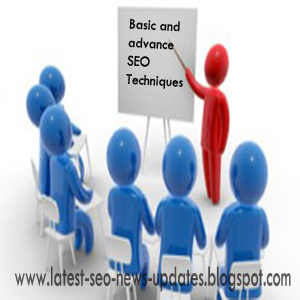 The SEO tips and points included in this blog is very great and informative for me. After reading these points, I get a lot of important things. Thanks a lot for sharing. Keep sharing. These all are really very important techniques to generate traffic. Very useful information for everyone in the world. I want to contact you for talking about seo. Please sent your phone number or email? Thanks for reply. My mail id is sathiyakumarseo@gmail.com and my contact number is 9944090953. I may be busy with my work so my reply will be delay but surely reply you. Good post for the seo beginner and helpful for the all readers. SEO VS Software Engineer (Java, .NET) where can we get high salary? Which one is having future career? Google penguin 2.0 Update - How to retrieve your website and improve your keyword search result?